To save time and bandwidth, you can add your offline basemaps directly to your iOS device through iTunes using the iTunes File Sharing feature. Adding basemaps through iTunes is a great alternative to having to upload maps through the web app and then download them to your device, especially in cases where wi-fi or connectivity isn’t reliable. 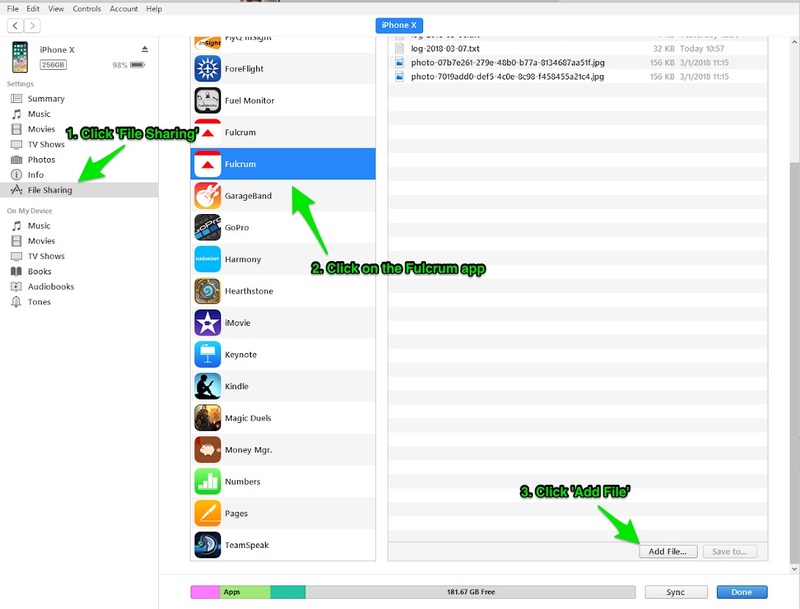 iTunes File Sharing is done simply by either dragging or browsing to add the file from your local computer into the Fulcrum Documents library. As you add the file to Fulcrum’s documents list, it will immediately be transferred to the mobile device. Connect your iOS device to your computer, and select it from the sidebar in iTunes. If you have wireless syncing available between iTunes and your devices over Wi-Fi, you can also do this without even needing to connect via USB. Select your mobile device in iTunes. 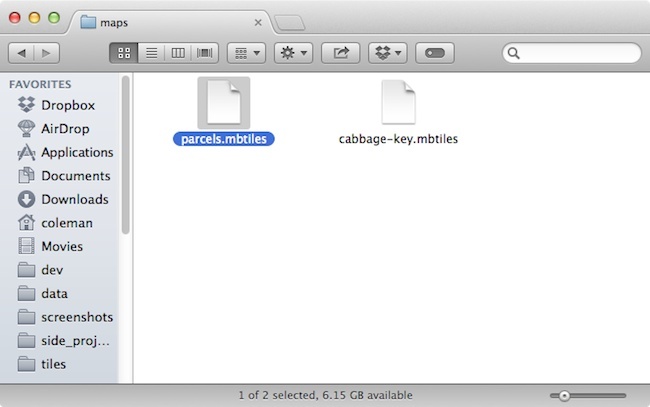 Select the “File Sharing” tab, then select the Fulcrum app from the list of apps. You’ll see a list of documents contained within Fulcrum, with an “Add” button at the bottom. Click “Add” to browse for your MBTiles file on your computer. Properly eject your device from iTunes and your map will upload to your device right away. To select the layer, navigate to the layers page by selecting the basemap/layers icon on the map view for any app of the Fulcrum mobile app. Then select the layers button at the bottom of the basemap/layer selector. 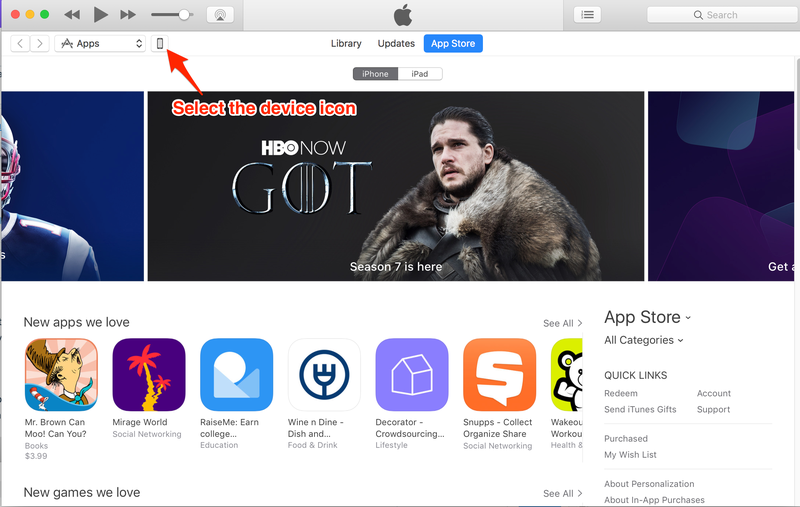 This will allow you to select the layer that you have sideloaded through iTunes.